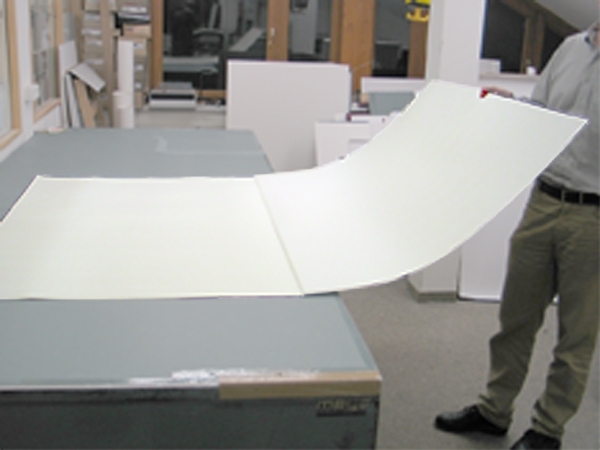 These types of folders are ideal for the flat storage of large size and oversize archival board material.Ex stock size for A0 format, dimensions flat (planar): 190 x 135 cm, dimensions folded 95/95 x 135 cm. Material characteristics: conservation board with an approx. 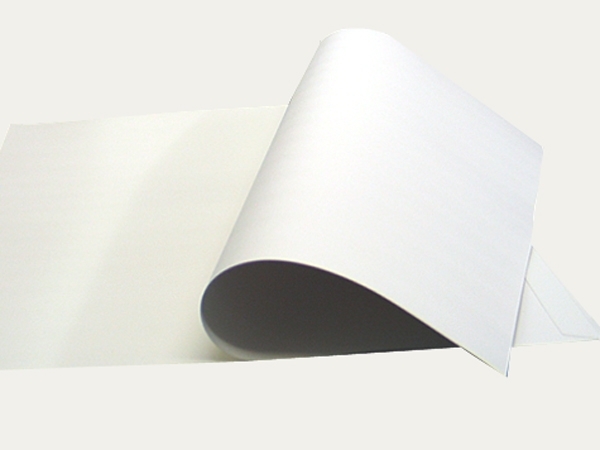 weight of 400 gsm, thickness approx. 0.6 mm, material made from 100% bleached cellulose, free of wooden fibres, pH-value 8.0 – 9.5 = acid-free (in accordance with ISO 6588-1-2005), alkaline reserve (buffer) > 3 % natural calcium carbonate (GCC), sizing neutral/synthetic (without alum additive), OBA free, both board sides antique white in colour. 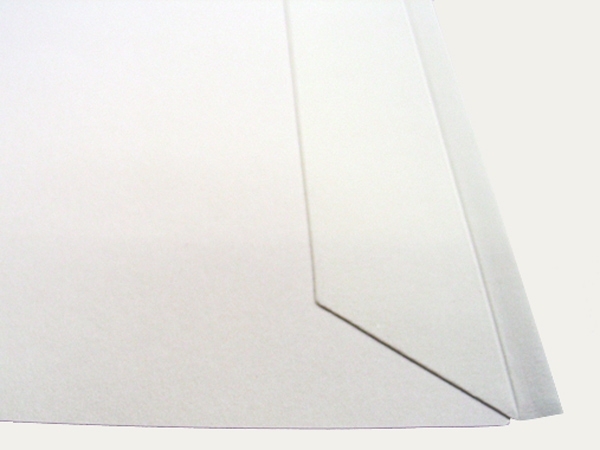 Design/execution: two-piece folder, the front flap is stuck with a sticking latch, with technical gelatine glue, to the cover of the reverse side. Variable spine width, up to 20 mm, with triple creasing, smooth interior surfaces. Delivery: folded and packed with additional inbetween support boards in a KS 16 box. Quantity/unit: 50 folders/portfolios per packaging.